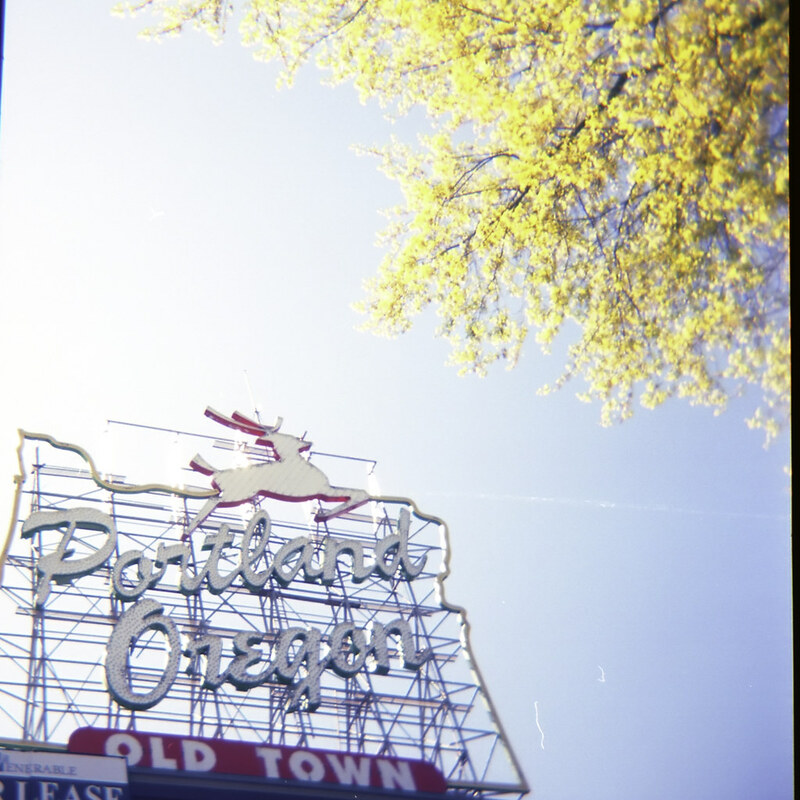 My next Holga shot is one that I’ve always kinda been fond of. I took it on a beautiful spring day in Portland. I beleive this was the first time I used Ektar and I instantly fell in love with it’s saturated tones when I got this roll back. Nice Shot! I like the backlit light. I shot Ektar 100 for the first time on my Mamiya back in July. I fell in love with it also. It is definitely my go to film for cityscapes and landscapes. It can be great for people, too, but it tends to bring out the red in some skin tones. I prefer Portra 400 if I am going to shoot mainly people. That’s what I’ve heard – that Portra is a better portrait film. ← was it real or just a dream?